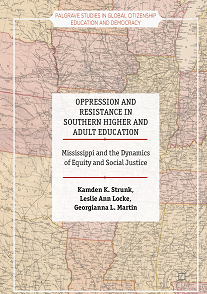 Kamden Strunk is currently an Assistant Professor of Educational Research at Auburn University in the Department of Educational Foundations, Leadership, and Technology. Currently, he teaches quantitative methods for educational research. In the past, he has also taught in the areas of educational foundations, social justice, educational psychology, and human development. Kamden Strunk earned his Ph.D. in Educational Psychology from Oklahoma State University in 2012. Prior to that, he earned his M.S. in Psychology in 2009 from Evangel University, and his B.A. in Psychology from Evangel University in 2007. His research focuses in three broad areas: social justice and equity in education, motivation in education, and educational research methodology. In social justice and equity in education, he is a queer scholar focused on issues of access, equity, and inclusion for LGBTQ students, especially in higher education. His work also emphasizes the role of race and racism, understanding most oppressive experiences in education as the end product of white supremacist heteropatriarchy. In motivation in education, his work focuses on time-related academic behavior (e.g., procrastination and timely engagement) and expectancy-value theory. He has developed a theoretical model for integrating motivational valence and time-related academic behavior, as well as documenting the contextual factors in time-related academic behavior (understanding behaviors like procrastination as primarily shaped by learning environments, rather than being stable individual traits). Finally, in the area of educational research methodology, he has developed a novel method for meta-analytic confirmatory factor analysis (MA-CFA), which he has used to examine the population-level structure of measures including the Beck Depression Inventory-II and the Achievement Goal Questionnaire-Revised. He has also written on critical pedagogy in quantitative methods, as well as the practice of community-involved research methodologies. 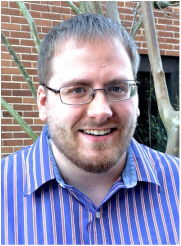 Students interested in becoming involved with Kamden Strunk's research should inquire about the Auburn University Educational Psychology program, and may also be interested in the Critical Studies Working Group at Auburn University.